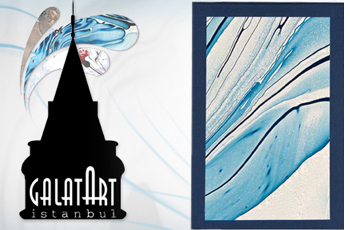 Leaf Marbling is designed and made by the artist Nesime Kantar. 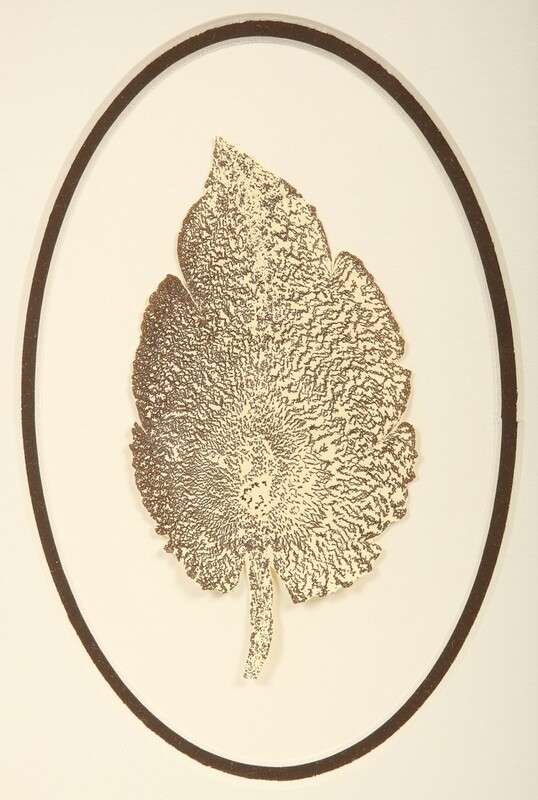 Marbling is done by brown oxide color and cut in the shape of leaf. The best results are got from the herbal paint called Lahor. The technique is applied by dripping the paint on the surface until the pattern is formed. The paint is started to cracked. This type of technique is mainly used by the calligraphists for the borders of their works. 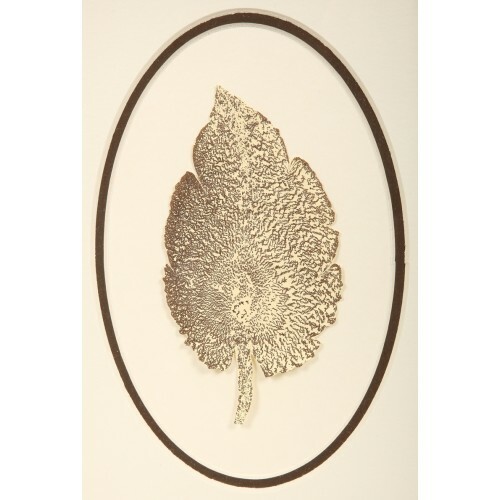 Dimensions: Frame: Length: 30, width: 23 cm.